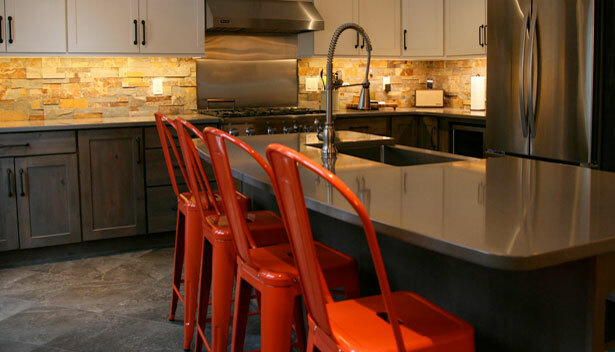 The beauty of nature and all things rugged and real come through in this kitchen remodel. 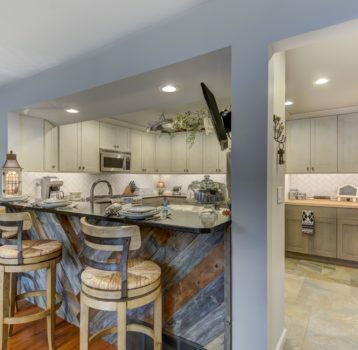 All material choices reflect the outdoors from reclaimed wood on the wall, weathered finish on cabinets, concrete look quartz tops, split stone back splash and slate looking tile floor. 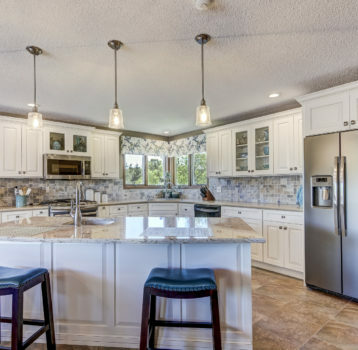 Creating a balance of aesthetics and functionality in kitchen spaces is a real thing, and looks different for every homeowner. This Cambria quartz counter top mimics concrete and all its beauty but offers a low maintenance alternative. 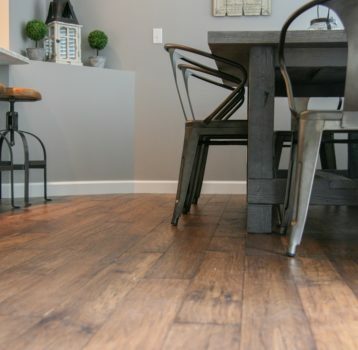 Luxury vinyl tile shows off as slate in tile form but provides warmth and softness underfoot. Upper cabinets in soft cream and low sheen keep this modest space from feeling heavy while the base cabinets made of rustic alder with vintage driftwood finish just speak to the simple but pulled together style desired by the homeowners.